The Food Alphabet and More: Let's Krok it up at Krazy Garlik! Krazy Garlik is proud to present their new Krok dishes! Yes Kroc as in crocodile meat. Now, don't shone away from this, as extreme as it may sound, do you know that crocodile meat is perhaps the healthiest meat around and guess they actually taste more like chicken. 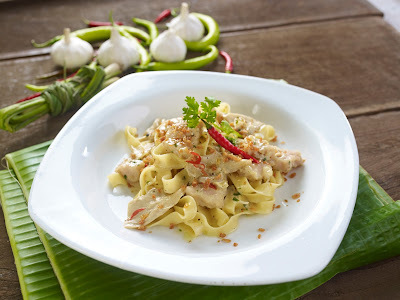 Here in the Philippines, it is such a stigma eating crocodile meat, as we are not familiar with it or is rarely served in any resto in the Philippines, but do you know that crocodile dishes are very popular in Australia, China and Thailand, with its tender meat and health benefits, who would not want to take a bite. 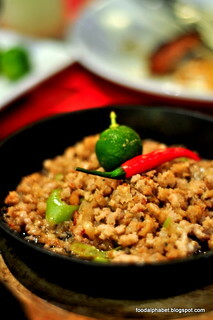 Sizzling Rockin' Sisig (P375), one of the favorites of many diners who kept asking for more. If you consider sisig as an exotic dish, just imagine croc meat sisig, and it was surprisingly good, best of all no guilt in eating as it is healthy meat. 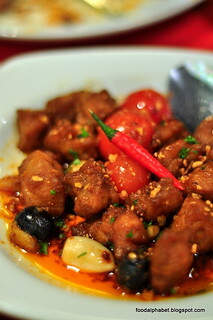 A Filipino food classic, Krok Salpicao (P435), cooked the Krazy Garlik Salpicao way, is always a trademark dish to behold with garlic as its main ingredient is sure to put smiles with every bite of the lean croc meat. 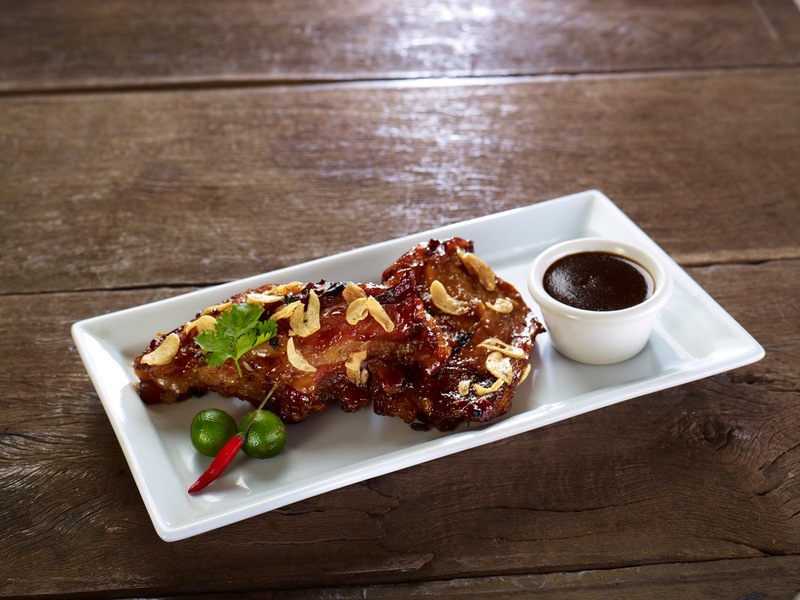 Great to see how Krazy Garlik incorporates classic Filipino cooking to its line-up of exotic dishes. Sink your teeth into the best tasting, most succulent and soft to the bones ribs in town, with a sweet and tangy taste, the Rappin' Ribs (P695), will surely leave an impression on you, you will be back for more. 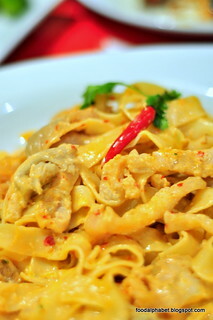 Catch this Krokodile Kraze and discover the exotic crocodile meat that Krazy Garlik has prepared specially for us. Taste and believe! Also all croc meat used by Krazy Garlik are farm-bred in the Philippines at Morong, Rizal so you can be sure of its freshness. For more info, like Krazy Garlik on Facebook and follow @KrazyGarlikPH on Instagram.